Wouldn’t it be great if you can instantly seek feedback or ask a response for a multiple choice question from an audience with an immediate result displayed before everyone? With Mentimeter you can do all that and more. 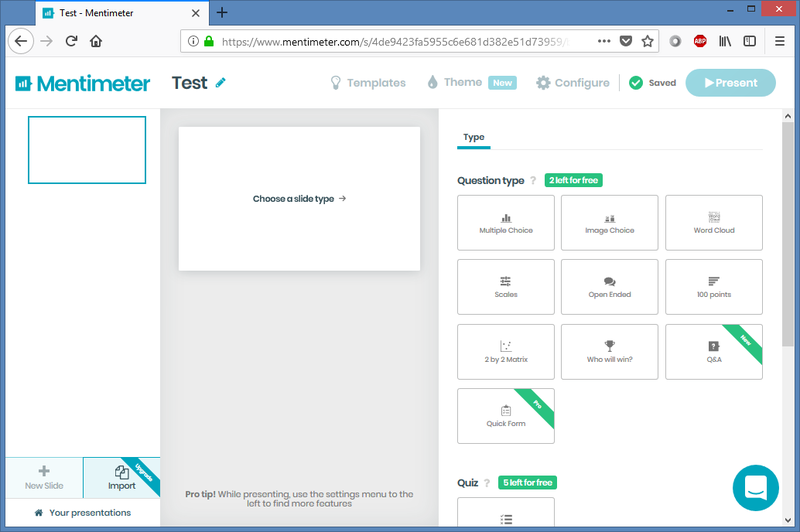 Mentimeter is a web service which takes expensive clicker based systems out of the equation as your audience can vote, provide feedback or answer questions instantly using their smartphones, tablets or laptops. 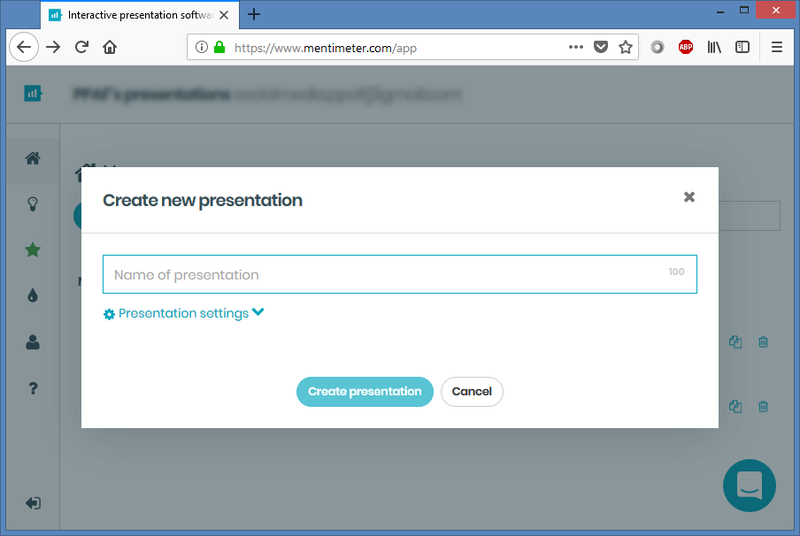 Mentimeter is a great service for instantly gathering audience feedback during or after a presentation and to keep your audience engaged during a PowerPoint presentation. 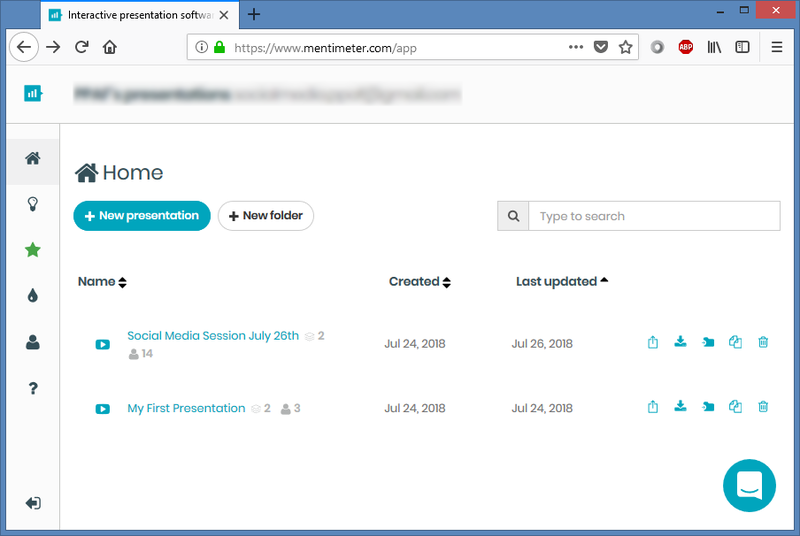 You can start using Mentimeter for free by signing up for an account. 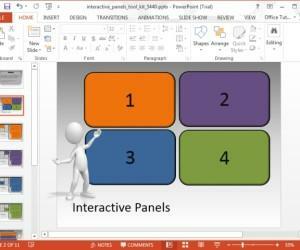 To start off your poll, create a new presentation. 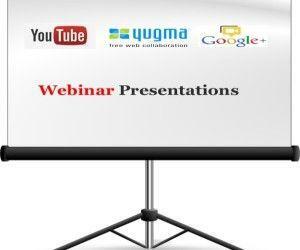 You will be asked to name the presentation. You can name it as per your convenience, such as by using the name of your event. In the next step, you will be asked to pick a poll type. 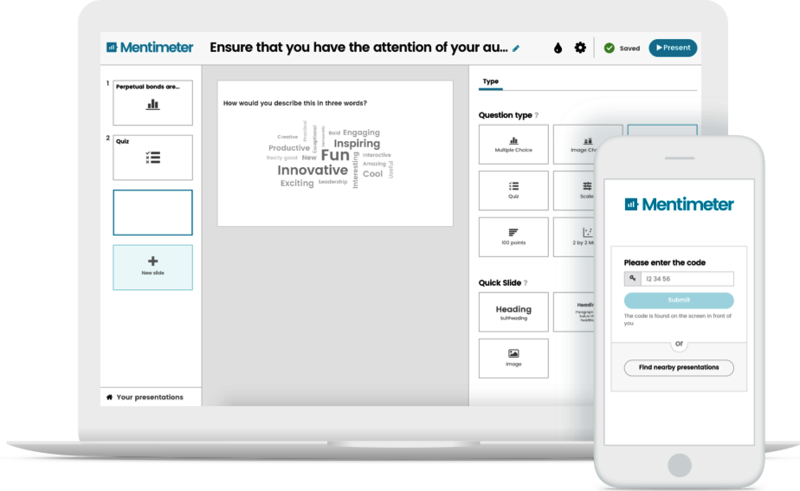 Mentimeter allows initiating polls for multiple choice and image based questions, scales, open ended questions, as well as to use 2 by 2 matrix quick forms, allowing questions from your audience for a Q&A and more. Pick an option most suitable for you to proceed further. 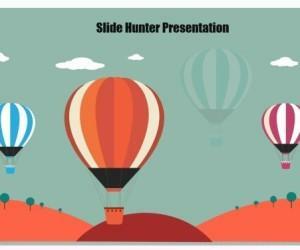 You can also import a PowerPoint or Google Slides presentation if you have a premium version, however, the free version does not allow importing presentations. 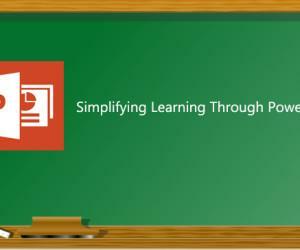 In the next step, add your questions and enable relevant options. For example, in our image based poll below, we are not enabling multiple answers since we want a simple feedback based on whether the audience liked the presentation. Moreover, we are representing each option with a custom image that was uploaded to Mentimeter. 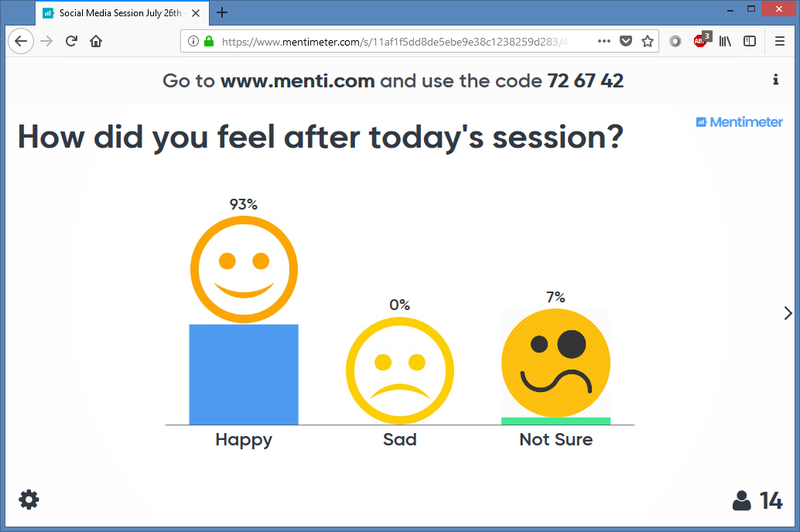 Once your poll is ready, click present and ask your audience to go to menti.com and enter the code for your poll. 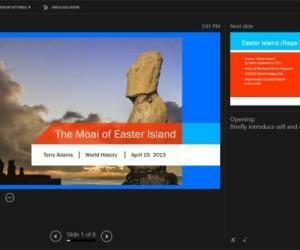 This will allow your audience to instantly cast their votes or perform other tasks you might have enabled (e.g. ask questions for a Q&A). 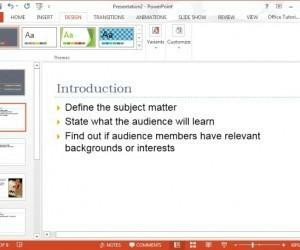 Here is more about Mentimeter from an introductory video. 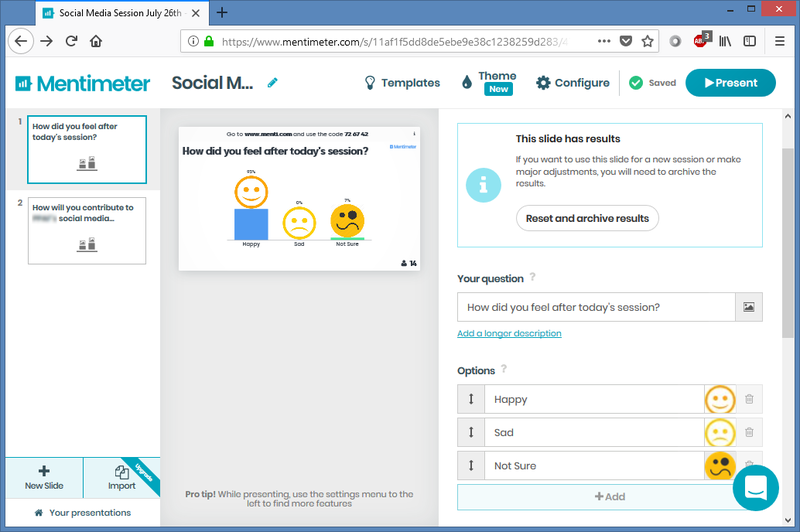 Mentimeter has a free version which allows two questions per poll. You can get more advanced options by opting for a paid version.